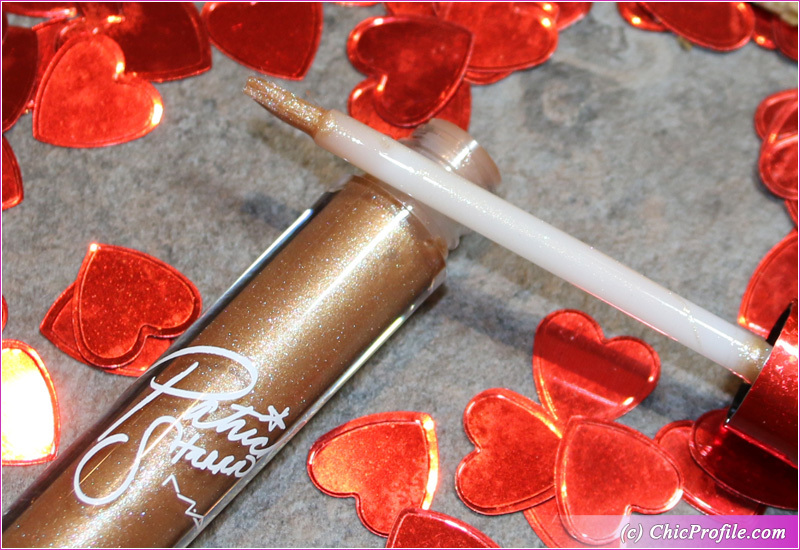 MAC Patrick Starrr Slay Ride Collection just launched and MAC Twerk for Gifts Dazzleglass is the first one I’m reviewing. You know I’m going crazy for lip glosses so this one was the first product I tried from this collection. 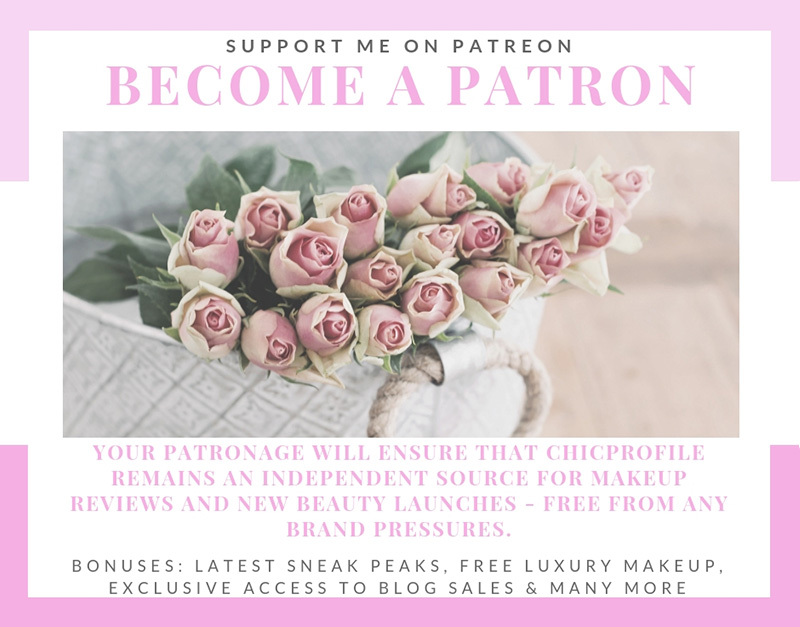 You’d better keep refreshing Chicprofile’s page as I have more products reviews from this MAC Holiday 2018 Collection coming up. 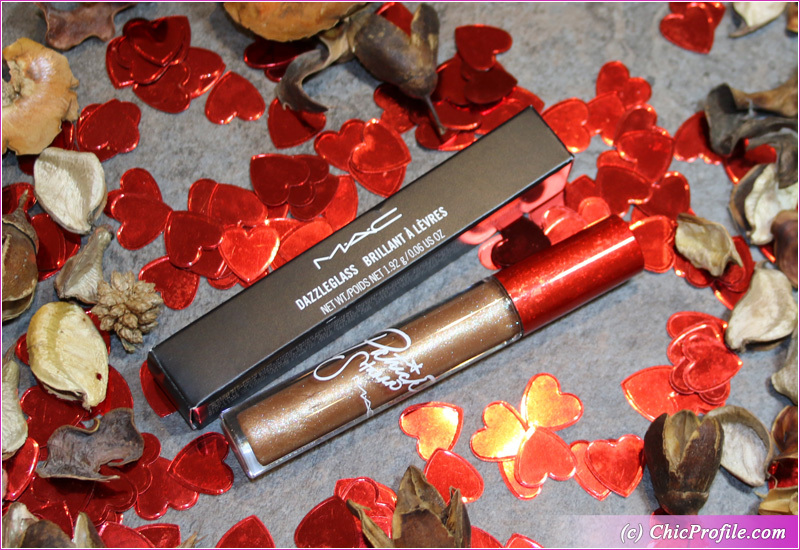 MAC Twerk for Gifts Dazzleglass ($20.00 / £15.50 for 0.06 oz./ 1.92 g) is a medium peach gold with warm undertones and multi-colored fine sparkle, gold pearl finish. 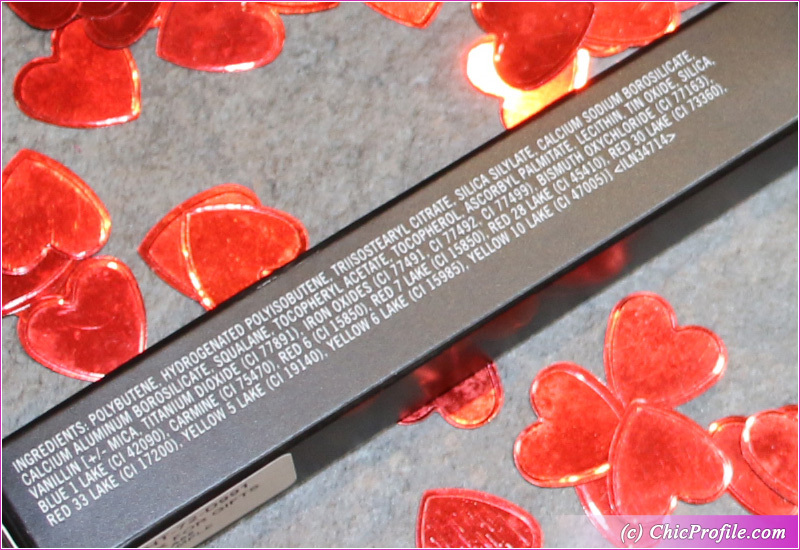 It delivers a semi-sheer coverage in a single layer. 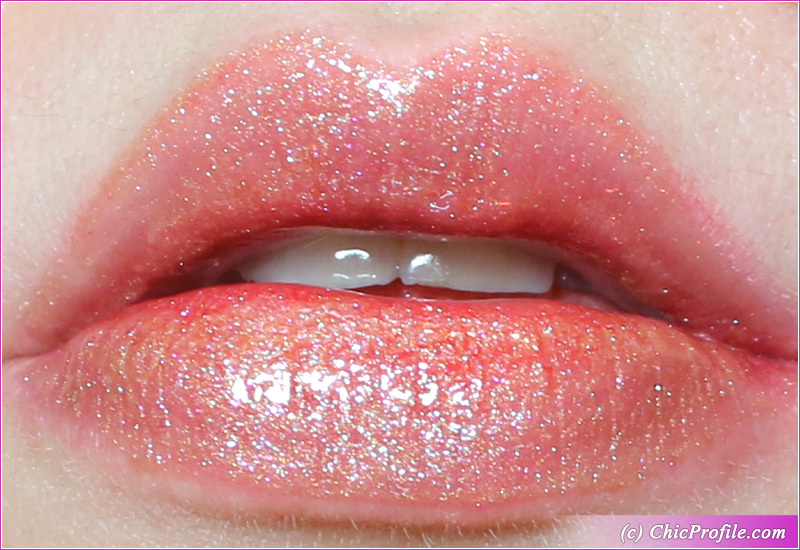 It ads a fair amount of color to the lips but still gives a sense of transparency. The gold pearl and shiny finish are so beautiful that you don’t even care about a full color coverage. The consistency is smooth but with a medium thickness to it which is why I couldn’t give it a 10 out of 10 on the application. The gloss glided well and evenly across my lips but I felt the tackiness in the consistency when I pressed my lips together. It goes on smoothly and feels very comfortable on the lips. 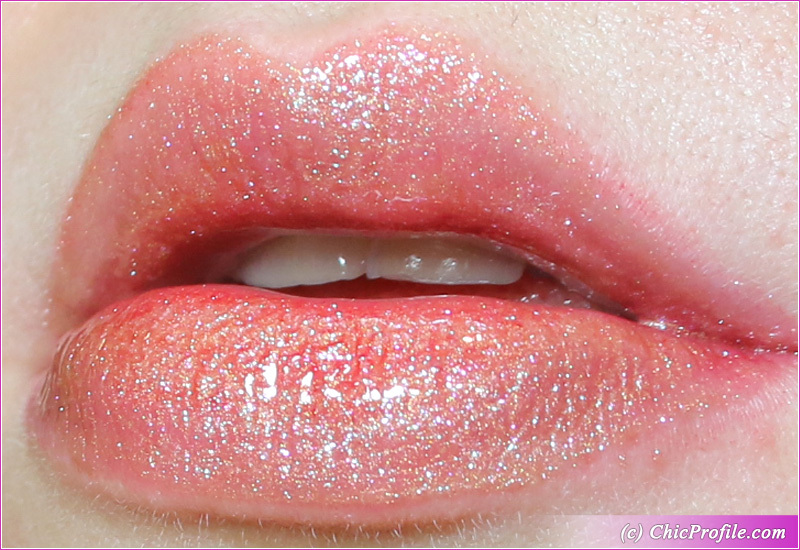 This is the kind of gloss that I wouldn’t recommend you to wear on a windy day because I did that and my hair got stuck on my lips all the time. 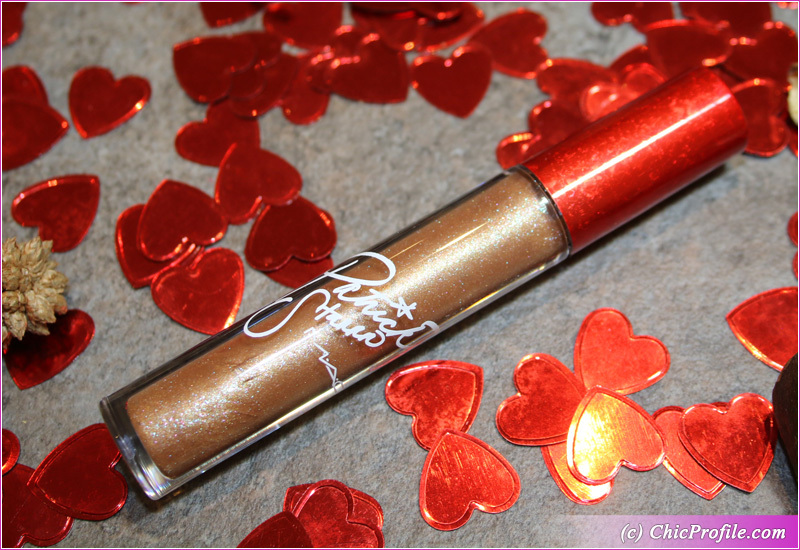 The shiny finish and those multi-colored fine sparkles really helped diffused the fact that the gloss settled a bit into my fine lip lines. 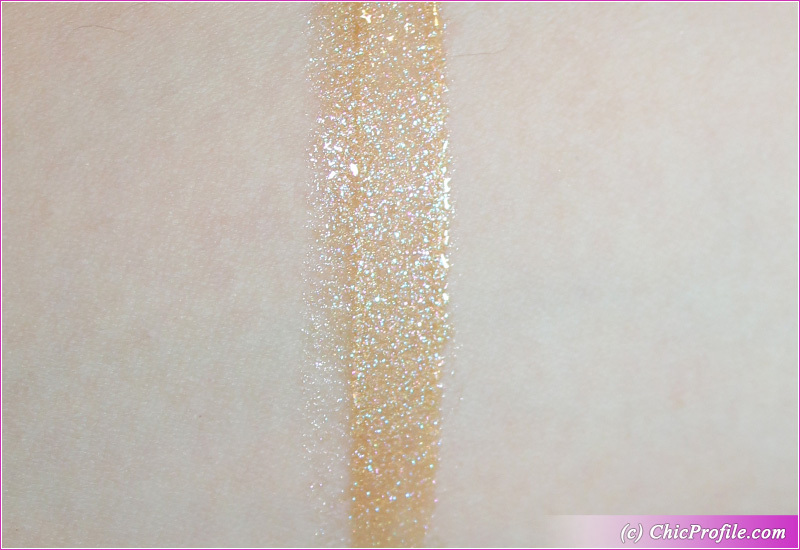 Basically you get a gorgeous shimmer effect that will make your lips look fresh and dazzling. It felt lightly moisturizing while worn with a sweet vanilla scent to it in the first minutes of wear. Considering it’s a limited edition collection, some of the products will sold out quite fast. 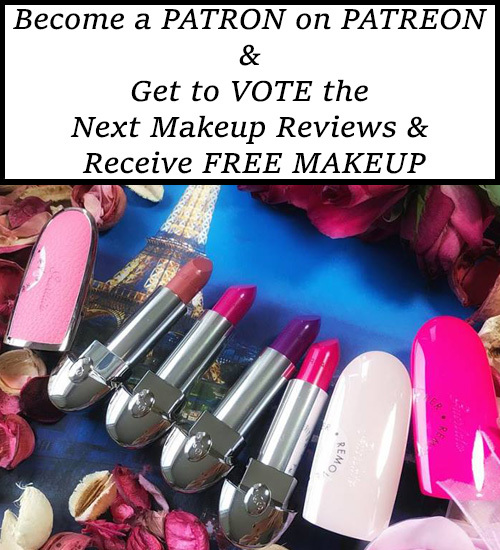 Check out other reviews/ photos of bloggers that you trust if you have the chance!